Located above State Highway 38 near Mountain Home Village, this fire lookout affords tremendous views of the surrounding mountains and canyons. When it is staffed, visitors may be able to drive the entire way to the lookout and may also be welcomed into the cab by the volunteer fire lookout on duty. When it is not staffed, or when there is a fire emergency, visitors may have to park at the gate and hike in, and may not be able to visit the cab itself. 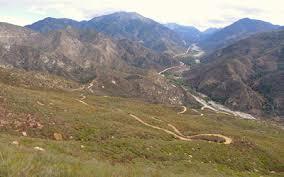 From Redlands/Mentone, take Hwy 38 toward Forest Falls – Big Bear. Approximately 1.5 miles past the Mill Creek Ranger Station and across from the Vista Point parking area, turn left and drive up Forest Service Road 1N12. This is a narrow dirt road and high clearance vehicles are recommended. Four-wheel drive vehicles may also be required after rain/snow. Drive on 1N12 approximately 1.5 miles to the gate (on left). 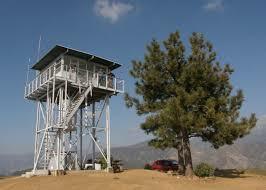 Morton is located about another 1.5 miles past the gate on Forest Service Road 1S13 on the top of the peak.